Atlanta, GA, June 22, 2018: The Salmania in Atlanta is simply astounding! Twelve years since his last visit to North America, Bhaijaan Salman is back to entertain his fans with his quintessential swag in The Da-bangg Reloaded tour. The tour premiers in Atlanta at the Infinite Energy on July 22, 2018. Fans flocked to the Westin Atlanta Perimeter to catch a glimpse of the star and his team- Katrina Kaif, Jacqueline Fernandez, Daisy Shah, Prabhu Deva, Manish Paul and Guru Randhawa who addressed a press conference and engaged in a meet and greet with their fans. Sonaksi Sinha, who is part of the team, is scheduled to arrive today. The group will perform across U.S. and Canada between June 22 and July 8. Radiating from the smashing success of his 2018 Eid release, “Race 3”, Salman Khan engaged and entertained the crowd, while Manish Paul’s witty and comical comments upped the humor quotient. Photo by John Gladson, Gladson Clicks. “Lots of big emotions as we start the tour that has been in the works for the past two years,” said Bhavesh Patel, the American promoter of the tour. Patel’s father, Babu Patel is known to be the original pioneer of the Indian entertainment business and the Da-Banng Reloaded tour is special as he promoted Khan’s first show in 1992 in Chicago. “I’m extremely excited to perform in Atlanta in particular, because my sister lives here,” said Katrina, a fact not many are aware of. “Our business is now your business,” quoted Daisy, playing around with her popular lines from Race 3. Jacqueline and singer Guru Randhawa who is performing in the US for the first time said they were excited about the show and the opportunity. “There is singing, dancing and romancing in the show. You must watch it,” Jacqueline said. “Vanakkam, very happy to be here,” said the shy dancing star of India, Prabhu Deva. “We have the worst dancer (Prabhu Deva) and an average host (Manish Paul),” joked Salman when asked about his team. Salman turned out to be an encyclopedia of film/music when he traced the history of rap back to India. “Rap music was first used by Ashok Kumar is the movie Aashirwad (Rail gaadi chuk chuk). It was only later that the western world adopted it,” he said, when asked about his views on hip-hop and rap music being popular amongst youngsters in the US. 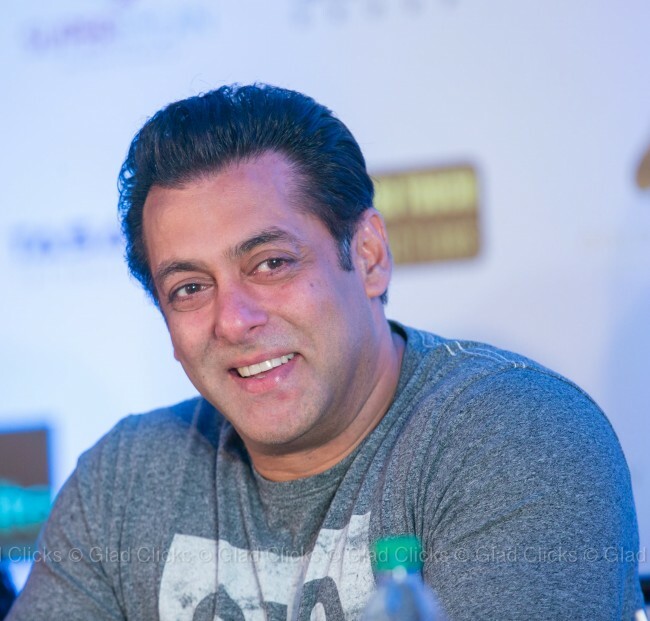 “Mohabbat hi mohabbat hai” (It’s all love) Salman said, when asked if the show would appeal to Indians from the south, north and of all backgrounds. The Da-Bangg Reloaded tour will be presented in Atlanta on June 22, Chicago on June 23, Los Angeles on June 24, Dallas on June 29, San Jose on June 30, Vancouver on July 1, Washington D.C. on July 6, New Jersey on July 7 and Toronto on July 8.